Description: The spectrum effect of light reflecting properties impart color and subtle glow to the face. Oven baked formula blends on skin effortlessly and stays put for long wearing sheer, transparent color. Comes in four different shades that can be applied alone or mixed to highlight or impart subtle glow and color to the eyes and cheeks. - Baked (Terra Cotta) method was used: Absolutely outstanding lasting power. 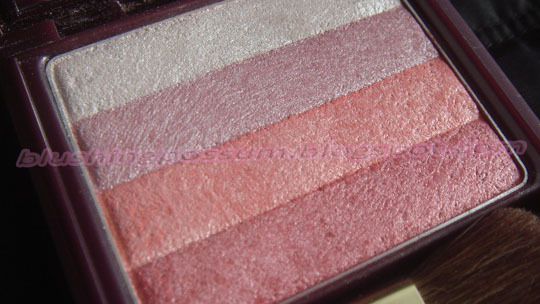 - 80% shimmering pigment: Highly glowing finish. 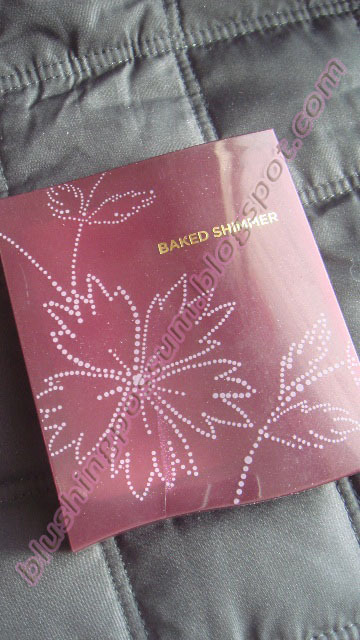 I bought The Face Shop’s Baked Shimmer in Plum Nuance because I thought it’s going to be a great alternative to The Body Shop’s Shimmer Waves. My expectations were too high, I guess. It has four different shades and I was so excited to use it as an eyeshadow for it claims to “impart subtle glow and color to the eyes”. After several testing (yes, I’m a firm believer of 2nd, 3rd, 4th chances), I realized that it lacks pigmentation. There’s not enough color in there for me to accentuate specific areas around my eyes. What I love about this product is that there’s no obvious glitter in it. It only gives this nice, pretty sheen with my NC30 skin tone for summer. 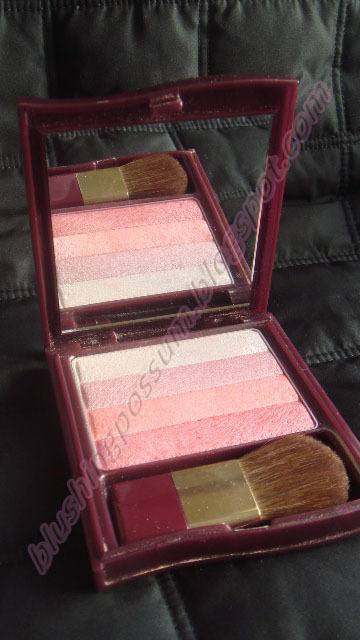 I usually apply it by swirling the colors altogether using an angled blush brush (the mini brush is, ehem, useless) and apply it as a highlighter over cream or matte blush for a healthy glow. 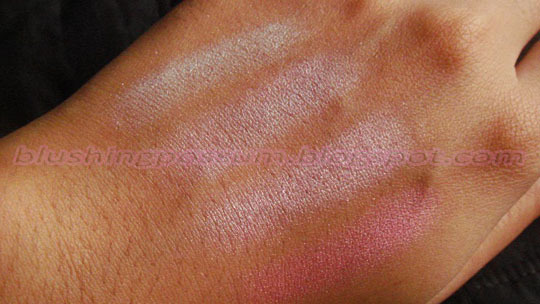 If you’re an NW15, I believe you can use it as a standalone sheer blush. The white/translucent shade on top is a good as an eye brow bone highlighter. Just don’t put too much of it though, otherwise, you’ll look like a ghost. I also tried to use it as a body shimmer using a big fluffy brush and that worked out just fine except for it's subtle chalky cosmetic scent. The packaging is nice. If it’s furniture, I would call its compact container sturdy. I can just put in inside my purse without having to worry about finding its powder all over the place. 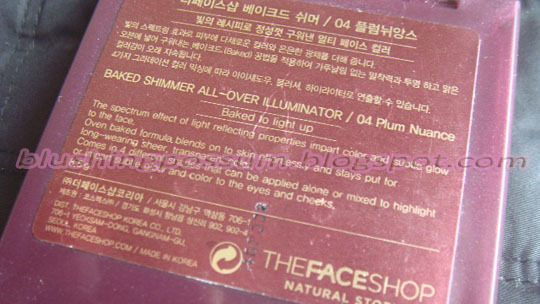 Overall, The Face Shop’s Baked Shimmer in Plum Nuance is an “okay” product. I recommend it to those of you with a light to ivory skin tones.